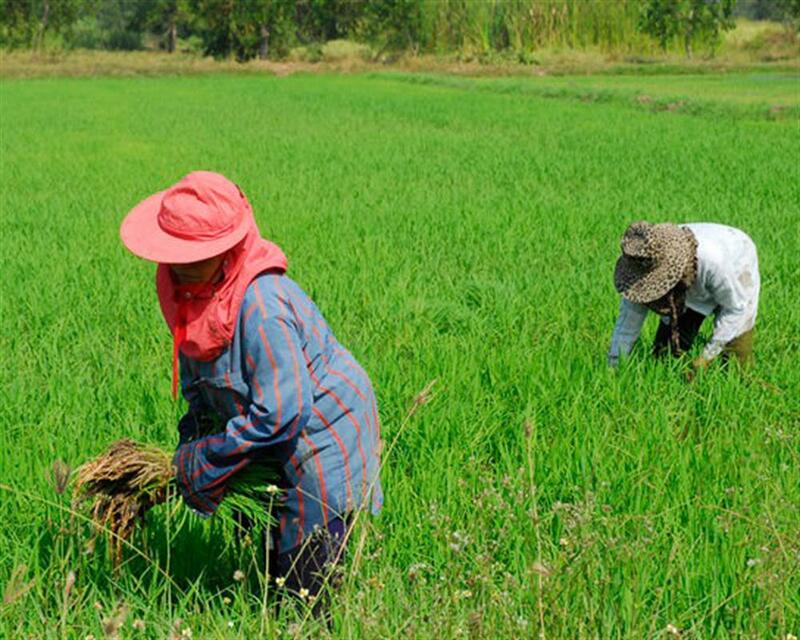 Experience the quaint countryside of Bangkok. Cruise on a bicycle across country roads while taking in lush greenery and peaceful local villages. Dine on a lip-smacking lunch and visit a bizarre temple before the day is done. 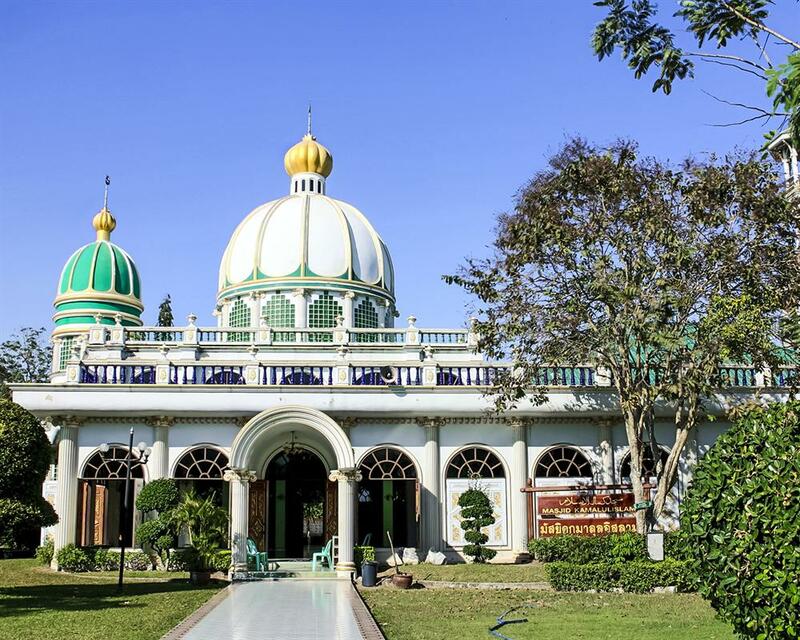 Enjoy your convenient hotel pickup and meet your guide to begin your 25-mile (40-km) ride at the Kamalulislam Mosque, situated in a local Muslim community. As you pedal along, take in the view of fish farms, working rice mills, traditional Thai wooden homes, and an old medicine shop. Stop by the quirky temple of Phurt Udom Pol and find an antiquated helicopter sitting among the colorful stuccos. Ride through a small canal to Nong Chok, and savor a well-deserved native lunch. Complete your journey with a relaxing boat ride down the Khlong Saen Seab canal to the Wat Bang Peng Tai temple. Meet your driver and enjoy your relaxing ride back to your hotel. Visit to the bizarre temple of Phurt Udom Pol, which amongst other things has a disused helicopter and very colourful stuccos. 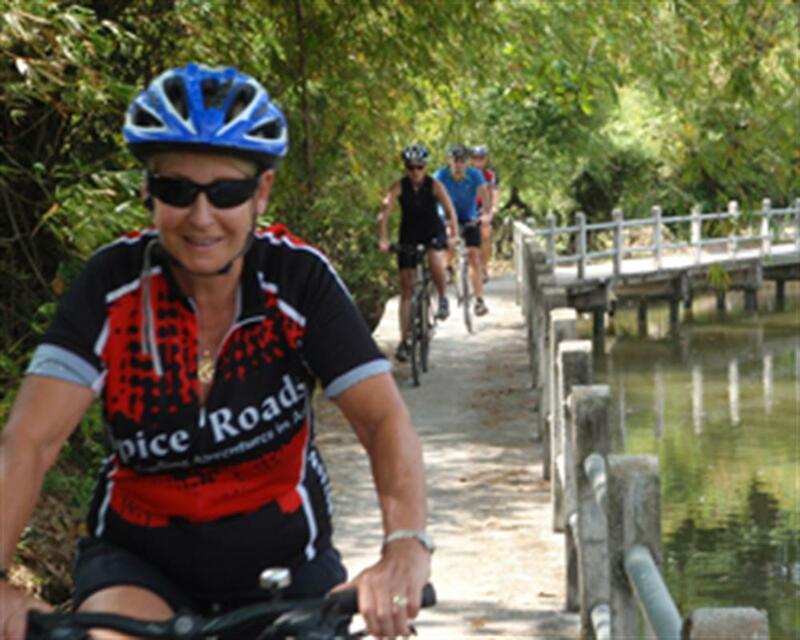 Journey with a river ride down the Saen Seab canal back to the Bang Peng Tai temple.